Explore more than 2,000 years of history through this cultural Gymkhana in Valencia. Official guide during the cultural gymkhana “time machine”. Custom design of the content, tour and events of the cultural gymkhana. Necessary material for the development of the cultural gymkhana. Gymkhana Valencia center “the time machine”. If you want to get to know Valencia in a different and fun way, this is your best option. Travel through the more than 2,000 years of history of this city, of Valencia, through intrigues, challenges and games with the cultural gymkhana “the time machine”. Just because it’s a gymkhana doesn’t mean there’s no cultural content. 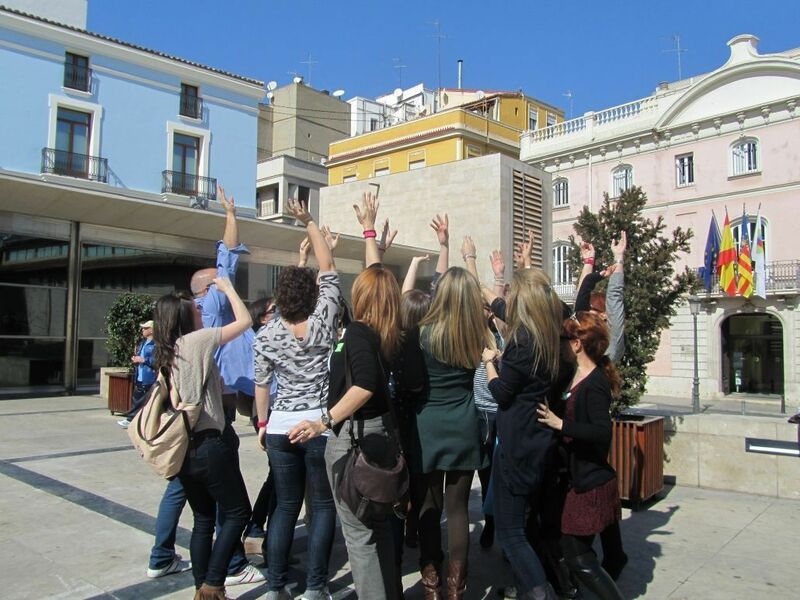 For Art Valencia the cultural part is fundamental in all our services. From the very beginning, we have always been committed to quality cultural tourism. Valencia is a city that has a lot to show to those who visit us. It has several UNESCO World Heritage Sites. Two of them are immaterial: Las Fallas and the Tribunal de las Aguas de Valencia. One material: the Lonja de la Seda of Valencia. From our experience, Valencia is a city that surprises and we want everyone to be surprised by it. We adapt the cultural contents, the tests and the route of each gymkhana to the profile and the needs of each group. In other words, each gymkhana is special and different because each group is different. In this way, we tailor the route and games for each group. When we work with schoolchildren there are occasions when the cultural gymkhana “the time machine” goes in line with the didactic content they are studying. For example, if they are giving the modernism we can focus the route and the content to this subject. Along with a map that they will have to interpret and our official guides will have to pass each of the events. A journey through the different periods of Valencia. If you want to go back to your time, to the 21st century, you will have to complete this cultural gymkhana “the time machine”. The events that we propose to them are many and very varied. Decipher enigmas or test your visual skills by searching for items in different monuments. Another of the most fun events is the Roman aqueduct, with which you can channel as much water as possible without getting wet! A fun tongue twister difficult to say entirely or try to get out of the garden with the “escape garden” event. You will have to pass each of the tests if you want to return to its current time, the 21st century. When it comes to companies, there are also many options. The cultural gymkhana “the time machine” is a very interesting option for company events or social programs. If it is a cosmetics company, as we had a while ago, we can focus the gymkhana on Roman cosmetics, for example. But if the group is an expert in architecture we can make a tour through the different architectural methods of each era. Just tell us what your profile is and we’ll get to work to create your experience. We like to create tailor-made experiences in Valencia. Each cultural gymkhana takes a tour of Valencia’s most emblematic monuments and places. In each of them the official guides provide information about the history and heritage of Valencia. The group has to pay a lot of attention to these explanations if they want to pass the tests to which we challenge them. In other words, groups not only have to put their physical skills into practice, but also their mental abilities by interpreting the information given to them. As we said, the route adapts to the needs and preferences of each group. The centre of Valencia allows a stroll through more than 2,000 years of history. The great and ample heritage of the city allows for many different and thematic guided tours in Valencia. Doing a guided tour in Valencia through this cultural gymkhana “the time machine” through the center is an opportunity to work as a team. In a group that is going to share time and space it is important that there is a pleasant and positive atmosphere to ensure the success of the start. Through the cultural gymkhana “the time machine” we can strengthen and improve the relationship of the group. 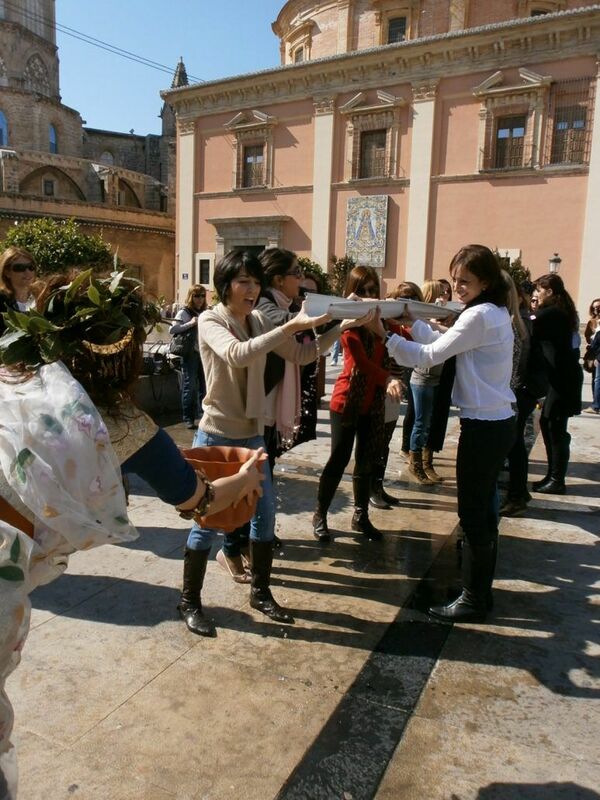 Through specific games and challenges you can work on many aspects such as communication, leadership, teamwork, competitiveness, division of tasks, etc.. For this reason, this cultural gymkhana in Valencia is also highly recommended for company or teambuilding events in Valencia. An excellent way to acquire knowledge is, of course, through play. It’s a way of retaining information almost without realizing it, in an easy and fun way. In the end it becomes a positive memory. And that’s what we want from our groups, that they take home the best souvenir of Valencia with this cultural gymkhana “the time machine”. We unite culture and leisure in an unforgettable visit. Our goal with the cultural gymkhana “the time machine” is to learn and enjoy.